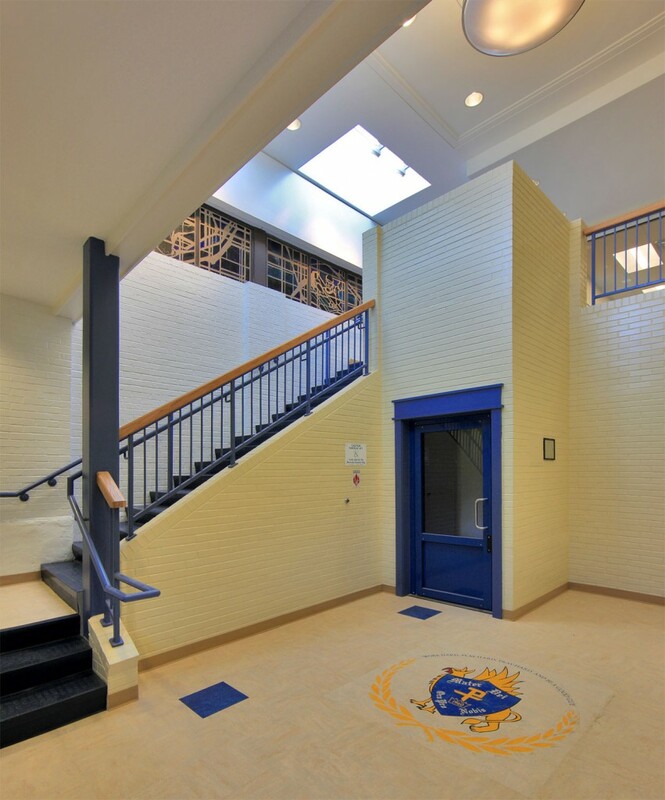 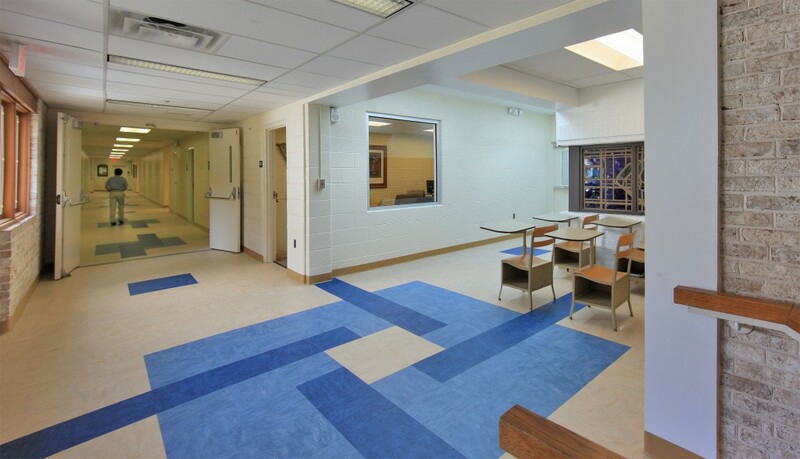 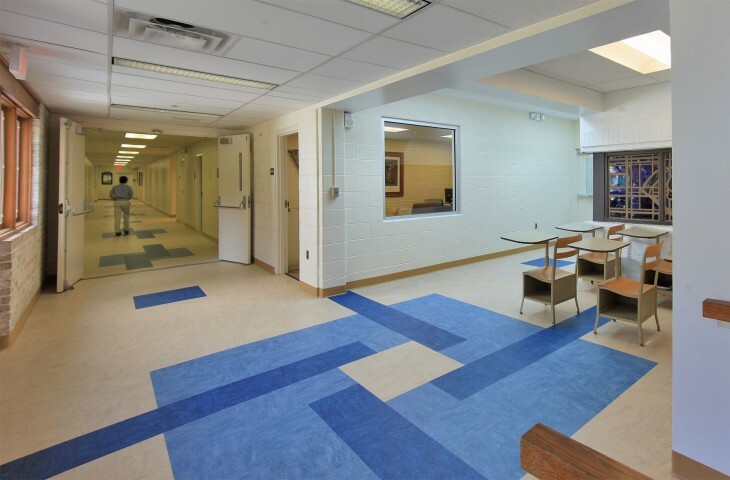 This project required the expansion of an existing one-story middle school building to accommodate a large locker room area, 5 new classrooms, a handicapped accessible restroom, teacher’s offices, and a foyer with an elevator totaling 3,850 sq. 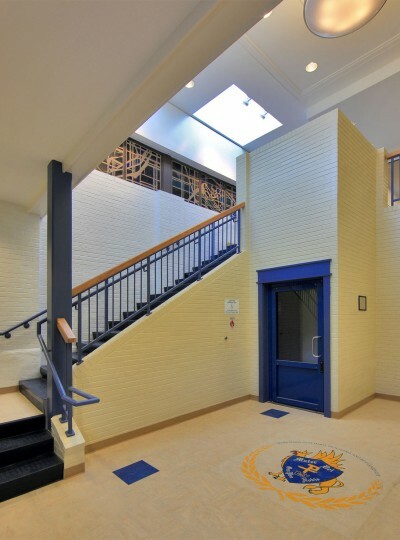 ft. of new building area. 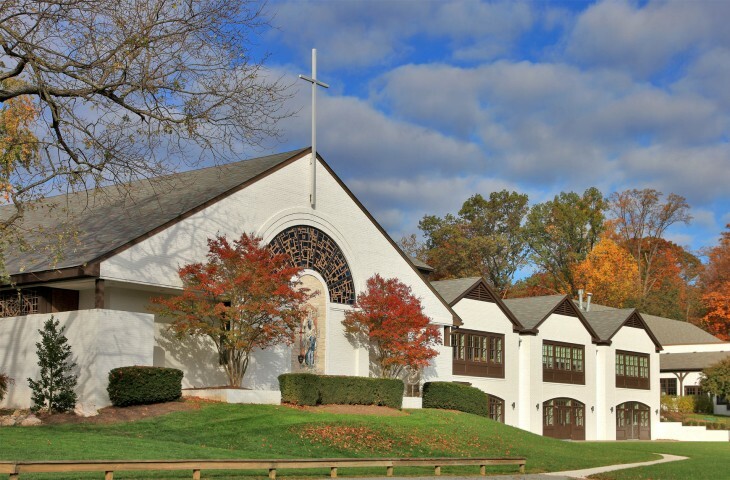 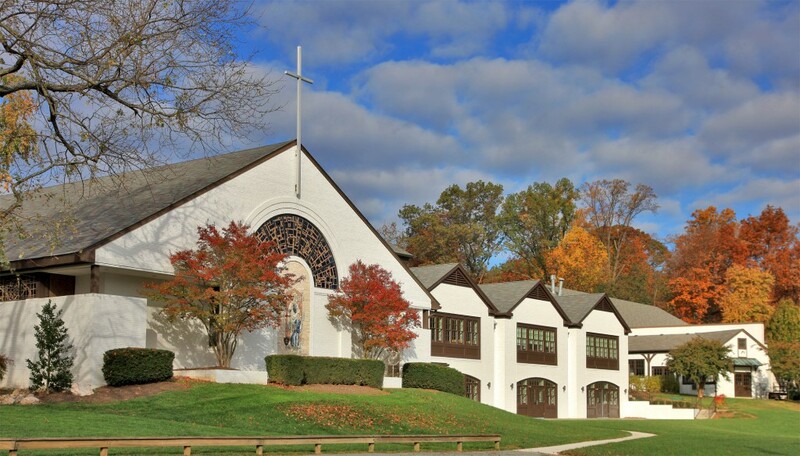 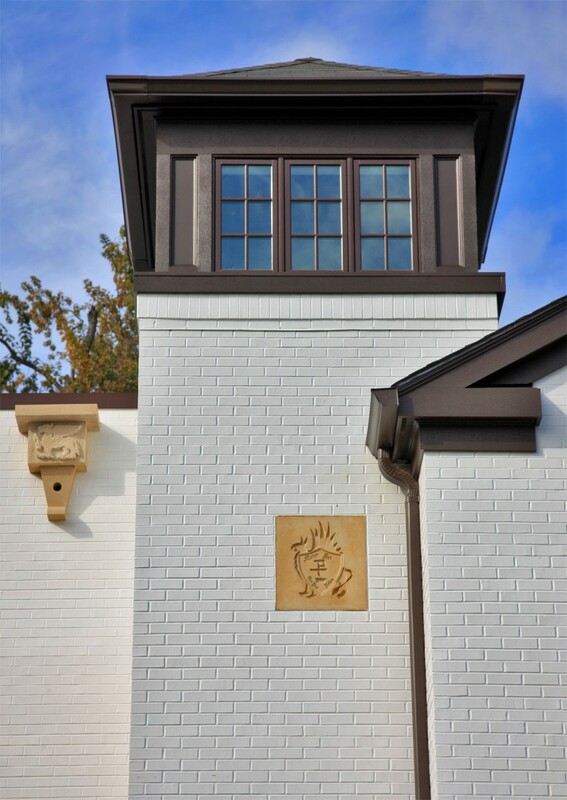 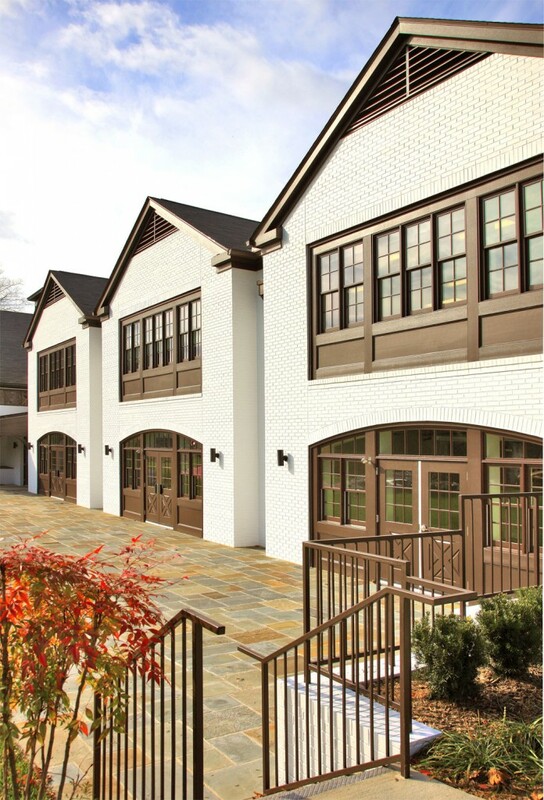 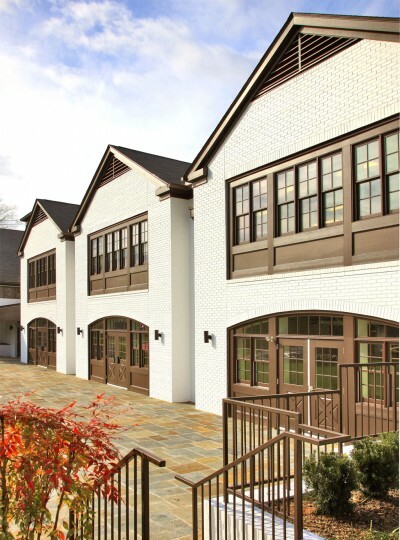 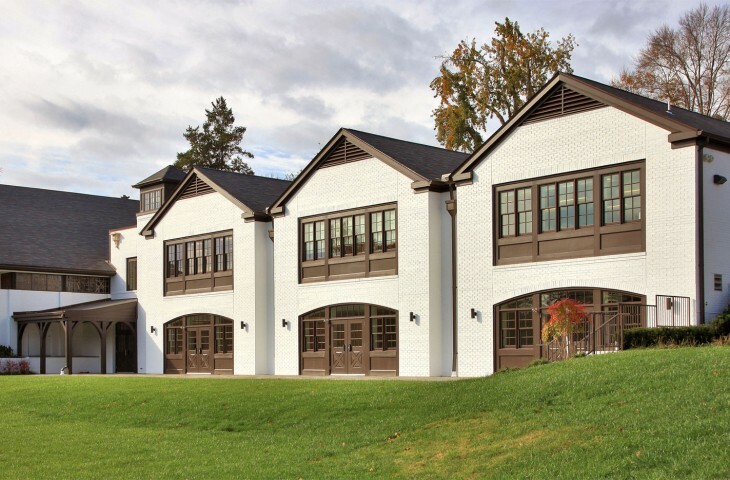 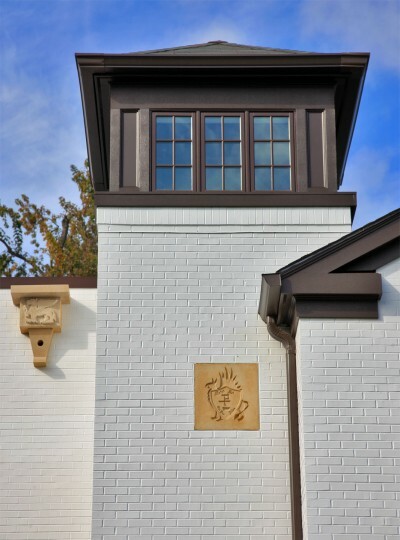 The design is intended to blend with the existing campus architecture through the use of a triple gabled façade, painted brick, timber frame porches, a patio, and a tower element that is composed to seamlessly fit between existing classrooms and the School’s Chapel.